This past April 24th, the Dean Hedstrom Foundation for Melanoma Awareness chose Dunedin Stirling Links in Dunedin, Fla. to be the recipient of their annual sun-shade donation. 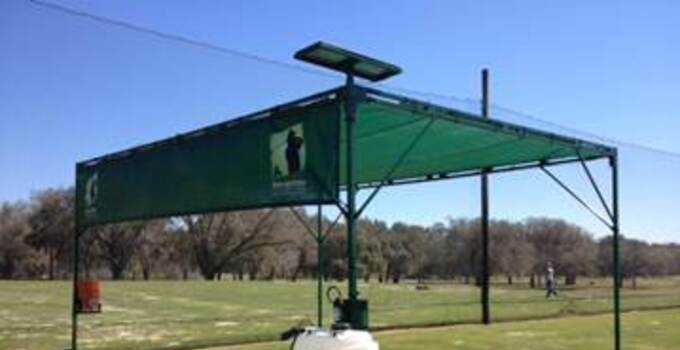 The foundation’s aim is to have sun-shade structures installed at all First Tee-supporting golf facilities in the surrounding Tampa Bay community. Other facilities to receive a shade include the Chi-Chi Rodriguez Golf Academy, Mangrove Bay Golf Club, and the University of South Florida Teaching Facility. Heading into the sunny summer months, Dunedin Stirling will continue to promote Melanoma Awareness while using the shade to protect golfers. The structure is scheduled to be delivered and installed very soon with its arrival being anxiously awaited.